Would love to see and hear about your process. They look fabulous, of course we would appreciate your insights and method! I had these once in my life and they were beyond anything I ever had for dessert. Please do share your thoughts! It may inspire me to give it a go. Where did you get the copper molds? 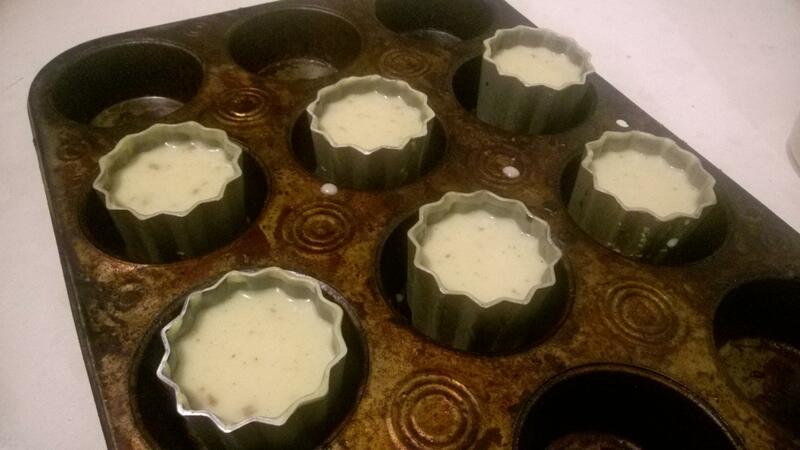 aren't they just amazing and your house will smell divine. Per my little write up i use aluminum - the quality i am getting now I am very happy with - I would suggest starting with vanilla extract till you feel comfortable with the process and move to beans which once you nail the interior its a joy to see the little black spots of real vanilla seeds. Good luck ! These are lovely. Any insight would be greatly appreciated! - aluminum molds (copper just too darn expensive). I have 14 molds. so originally I used Bruno albouze's recipe (see YouTube) and always had the muffin-top effect where the pastries would rise up about cm or more causing the top (coz they bake upside-down) to separate away from the mold and as such cause the tops to come out yellow and uncooked. To remedy I would tap them down half way through the bake and that would get most of them to caramelize on top but caused some unwanted compacting of the interior. Ie, they weren't totally fluffy inside with sections of dense custard. the two adjustments I recently made were 1. To half brunos cornstarch, and 2, to liberally coat the molds in white oil. I do this by pouring the hot oil and completely filling the mold then pouring the oil out which creates a thick layer of gee / beeswax onto the mold interior. These two changes made a works of difference. 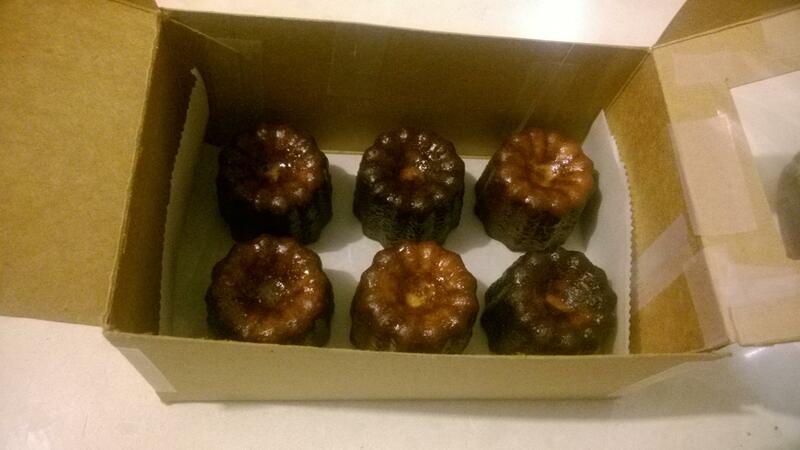 The Caneles all stay down and bake to a beautiful fluffy consistency inside. the next change I intend to try is to completely omit cornstarch as I think the francine T55 may as well be a pastry flour - it's a very delicate flour much weaker than am American AP which I am sure Bruno accounted for in his recipe. here's a couple of pics one showing the oil / wax coating. 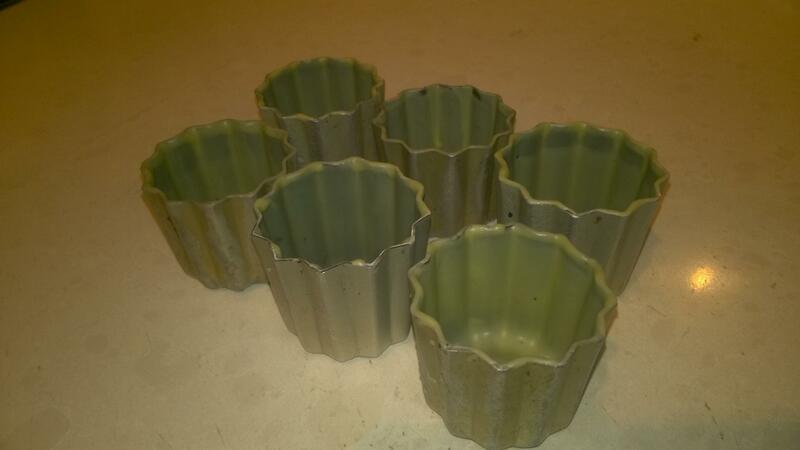 les cannelés! But i think I've already made that clear. These are absolutely perfect, I can practically taste them! woah Bundt size hey ? That would be interesting however I'm skeptical that would work out like an actual giant candle. I've tried all sorts of different molds which seems to really drive home the point that the size and shape of the molds is key in getting them just right. If and when I make them in anything other than the proper molds they are very underwhelming and just food at that point - give it a shot tho !